Dump It! 365 is a Kelowna Junk Removal company offering service when you need it. Dump It! 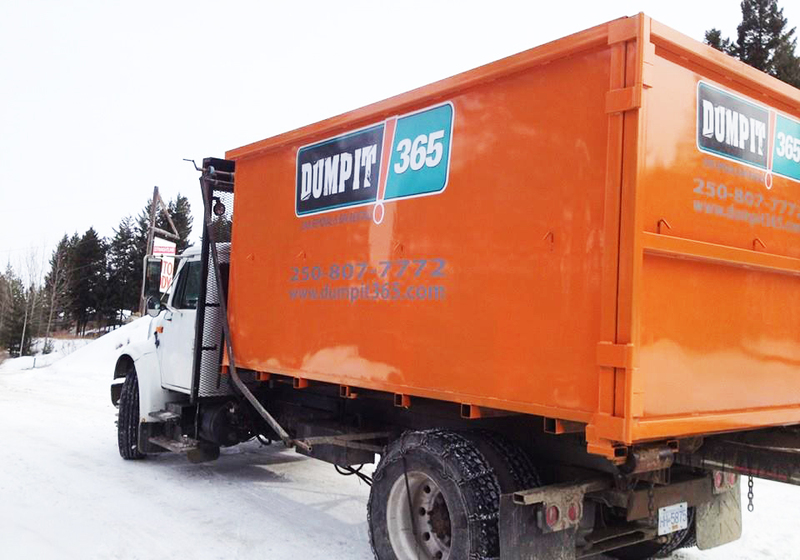 365 offers convenient kelowna junk removal and trash disposal services 365 days a year! Don’t live in clutter any longer than you need to, we remove it, as soon as you need it! And smiles are always FREE! One Man’s Trash is Another Man’s Treasure. Let us help you give back to the community by donating your goods to local charities helping give back to families in need – PLUS, this keeps the environment cleaner longer by keeping it out of the landfill. Instant Savings – Bigger Really is Better! Bigger Bins means less trips! By being able to take more in one load than most of our competitors take in 2 or 3 loads we keep YOUR MONEY where it should be – in YOUR POCKET! Our Bins Range from 12-30 Yards… But you’re only charged for what we take; just like it should be!